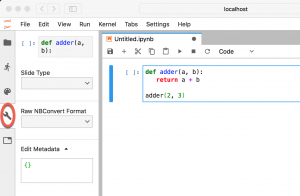 JupyterLab is the latest package from Project Jupyter. 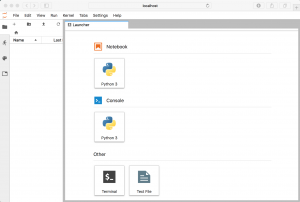 In some ways, it is kind of a replacement for Jupyter Notebook. 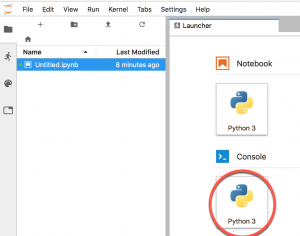 However the Jupyter Notebook is a separate project from JupyterLab. 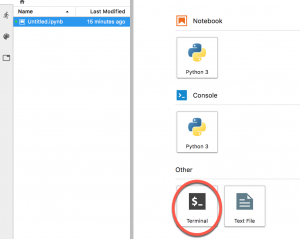 I like to think of JupyterLab as a kind of web-based Integrated Development Environment that you an use to to work with Jupyter Notebooks as well as using terminals, text editors and code consoles. 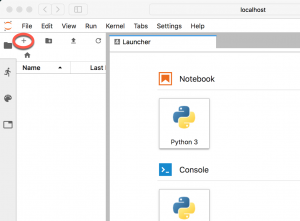 You might say JupyterLab is a more powerful version of Jupyter Notebook. 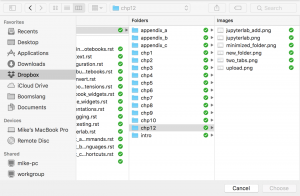 JupyterLab will allow you to view and handle multiple types of data. You can also display rich output from these formats using various visualizations or Markdown. For navigation, you can use customizable keyboard shortcuts or key maps from vim, emacs and even SublimeText. 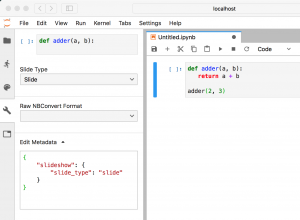 You can add new behavior to your JupyterLab instance via extensions. This includes theming support, file editors and more. 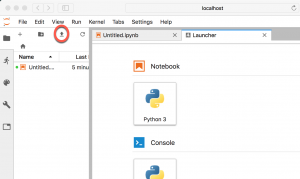 You can use conda, pip or pipenv to install JupyterLab. 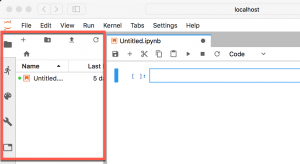 Note: If you are using pip install –user, then you will need to add the user-level “bin” directory to your PATH environment variable to be able to launch jupyterlab. 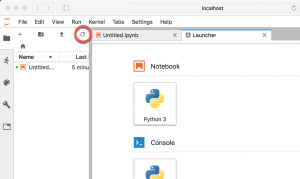 Note that calling the shell command is required if you want to launch JupyterLab from within the virtualenv that you installed it into. Explore the menu and see what else you can find. It’s pretty self-explanatory. Just use this as you would if you were opening a file in another program. Just remember that instead of opening a file, you are “uploading” or “copying” it to your JupyterLab workspace. 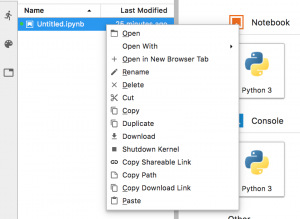 As with Jupyter Notebook, JupyterLab allows users to copy URLS into the browser to open a specific Notebook or file. However JupyterLab has also added the ability to manage workspaces and file navigation via URLs. 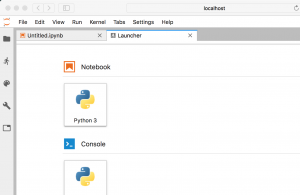 If you were to try this out, you would see the normal Jupyter Notebook interface instead of seeing the Notebook inside of JupyterLab. When you click that wrench, your screen should look like the above. This is called the Cell Inspector. This is where you can set up your Notebook for presentation purposes. You can set which cells are slides or sub-slides. Pretty much anything that we talked about in Chapter 9 relating to the Notebook itself can also be done here. You will also note that the Cell Inspector will display any metadata that JupyterLab / Notebook is adding to the cells. If you have files in your browser, you can open it by just double-clicking the file as you would normally do in your system’s file browser. You may also drag a file from the File Browser into the work area (on the right) which will cause it to open. Note that you can open a single file into multiple viewers/editors and they will remain in sync. 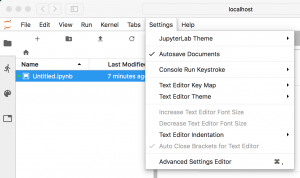 JupyterLab comes with a built-in text editor that you can use to create or open text files. Open up the Launcher and instead of creating a Notebook, go to the bottom of the Launcher and create a text file. It will create an untitled.txt file by default. But you can go to the File menu and use “Save As…” to save it as something else. This allows you to create Python files, Markdown and pretty much anything else you would like to. It even provides syntax highlighting for some file types, although code completion is not supported. You may also create files via the File menu. If you would like to edit an existing text file, all you need to do is double-click it in the File Browser. Code completion works via the Tab key. You can also bring up tooltips by pressing Shift+Tab. 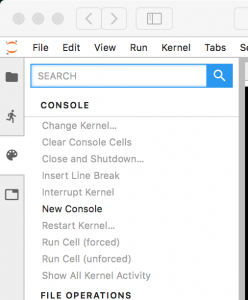 If you need to clear the code console without restarting the kernel, you can right click on the console itself and select “Clear Console Cells”. 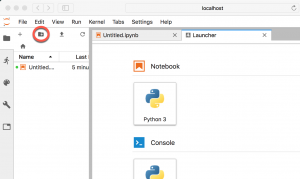 The JupyterLab project continues its support of system shells in the browser. For Mac / Linux, it supports bash, tsch, etc while on Windows, it supports Powershell. These terminals can run anything that you would normally run from your system’s terminal, including other programs like vim or emacs. 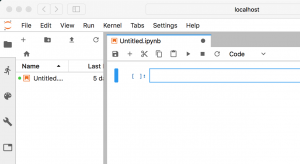 Do note that the JupyterLab terminals run on the system that you have JupyterLab installed to, so it will be using your user’s privileges as well. Then select the terminal from the list of running applications. For a full list of file types that are supported by JupyterLab, I recommend checking out the documentation. This should always be up-to-date and more useful then if I were to list out the items myself. As you might expect, JupyterLab supports extensions and was designed with extensibility in mind. 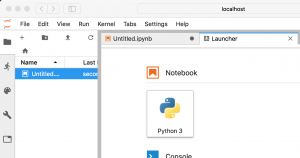 Extensions can customize the user’s experience or enhance one or more parts of JupyterLab. For example, you could add new items to the menu or command palette or add some new keyboard shortcuts. 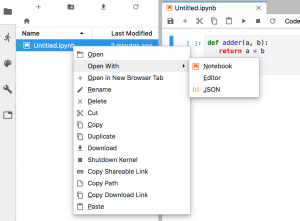 JupyterLab itself is actually a collection of extensions. Where “1.2” is the version you require. You can also extensions that are gzipped tarballs or a URL to a gzipped tarball. The JupyterLab package is really amazing. 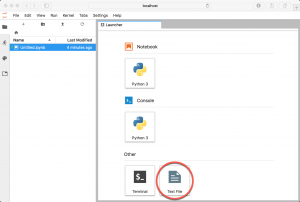 You can do a lot more with it than you could with just a Jupyter Notebook. However the user interface is also more complex so the learning curve will be a bit steeper. However I think it is worth learning how to use it as the ability to edit documents and view them live is really helpful when creating a presentation or doing other types of work. At the very least, I would give it a try in a virtual environment to see whether or not it will fit your workflow.